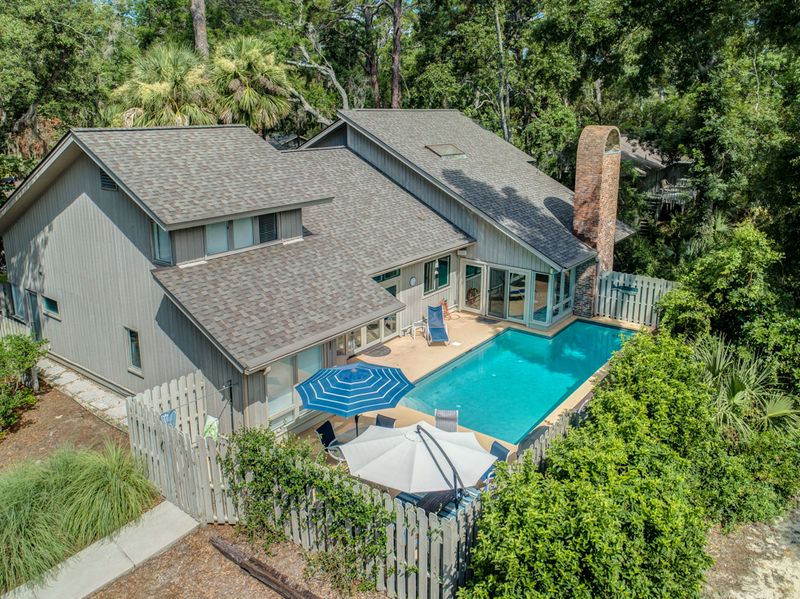 Like finding the perfect shell this beautifully renovated, coastal-chic home is a hidden gem in Sea Pines Resort. The updated kitchen, with stainless steel appliances, wine cooler, new cabinetry, and stone countertops, overlooks two spacious living areas and the large dining room. Sliders from both living rooms allow easy access to *private heated pool and outdoor patio area. The first level of this home's large open floor plan is perfect for both relaxing and entertaining. There are two king master bedrooms with one on the main level having a new master bath suite complete with tiled walk-in shower, double vanity, and soaking tub. Plus, a beach path runs right beside the home, so the ocean and sandy shore is just a few minute stroll away. •	The fireplace is not for guests use. •	The Vacation Company App will contain all of your check-in information (keyless door code, Wi-Fi Codes, and other information pertinent to your stay). Get exclusive offers straight to your inbox! Last Minute Bookings - Daily Pricing Changes In Your Favor! We are updating our pricing daily for you to SAVE more! Website ALREADY quotes discounted Rates UP to 25% OFF! Did you know that we change our pricing every day? Unlike the airlines or hotels, we are constantly lowering our prices as each arrival day draws near to provide you our valued guest the best deal! Enjoy up to 25% OFF our original rate. No need to shop further, enjoy the Best Price Guarantee. 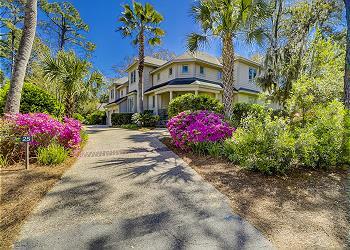 We have the best pricing available for some of Hilton Head Island’s finest vacation rentals. We are always working to find the best rate for you and helping you avoid additional fees charged by online travel agents. Check daily as we are always updating our pricing, hurry before all our available properties book! *This is an informational special. No additional discounts are being offered at this time. **Discounts have already been applied to dates requested, no promo code is required** INFORMATIONAL SPECIAL ONLY. Quoted price is the price being offered.